In 1982 there were only 22 California Condors left in the world. Today there are nearly 500 – more than half of them flying free in Arizona, Utah, California, and Baja Mexico. 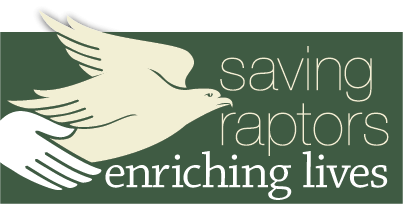 The Peregrine Fund has been on the leading edge of recovering this iconic American species and continues to work diligently to ensure that future generations can look above and delight as the silhouette of a condor’s magnificent wingspan sweeps overhead. There is still much work to be done before the California Condor can be removed from the Endangered Species List. Today, Condors die for a variety of reasons, but the biggest preventable cause of death is lead poisoning. In fact, half of all deaths are due to poisoning by lead fragments that condors ingest when scavenging on remains of animals, like deer, that have been harvested with lead-based ammunition. 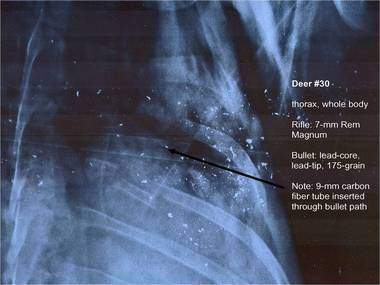 When fired into an animal, a lead bullet fragments into microscopic pieces that spread throughout the surrounding tissue. 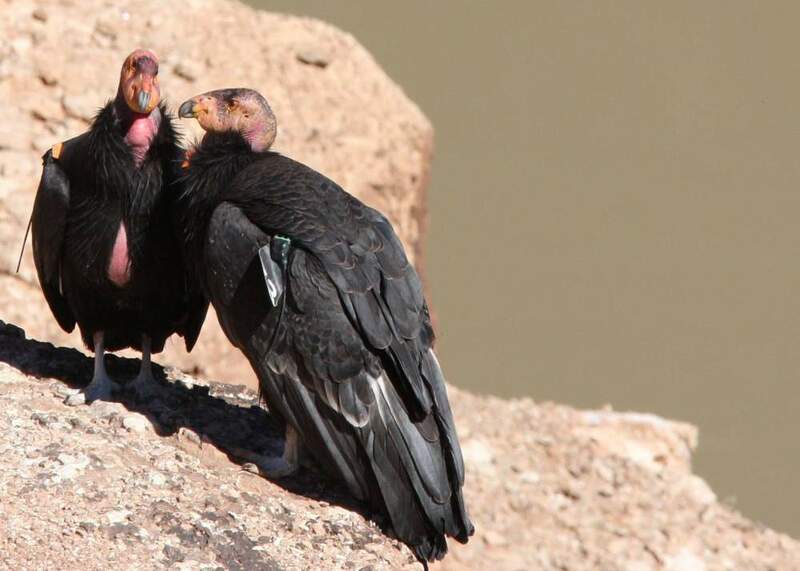 This lead residue can make California Condors and other scavengers ill if ingested. 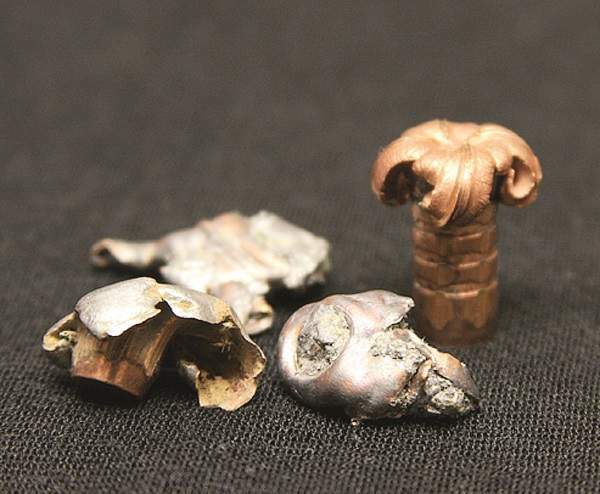 Non-lead ammunition, such as this solid copper bullet, does not fragment in the same way. A California Condor, Bald Eagle, Golden Eagle, or other scavenger that feeds on remains from animals shot with copper bullets will not get sick from the meal. The California Condor’s exposure to lead poisoning has helped to raise awareness of just how much of this toxin is in our environment. They have proven to be the canary in the coal mine of lead poisoning from spent ammunition and how humans could be affected if we are not careful. Whenever a bird of prey is in trouble, it’s a sign that we may be, too. The Peregrine Fund has partnered with the Arizona Game and Fish Department and Utah Department of Natural Resources to raise awareness about how lead poisoning from spent ammunition in hunter-harvested game kills wildlife in hopes of correcting this ecological imbalance that threatens our natural world. 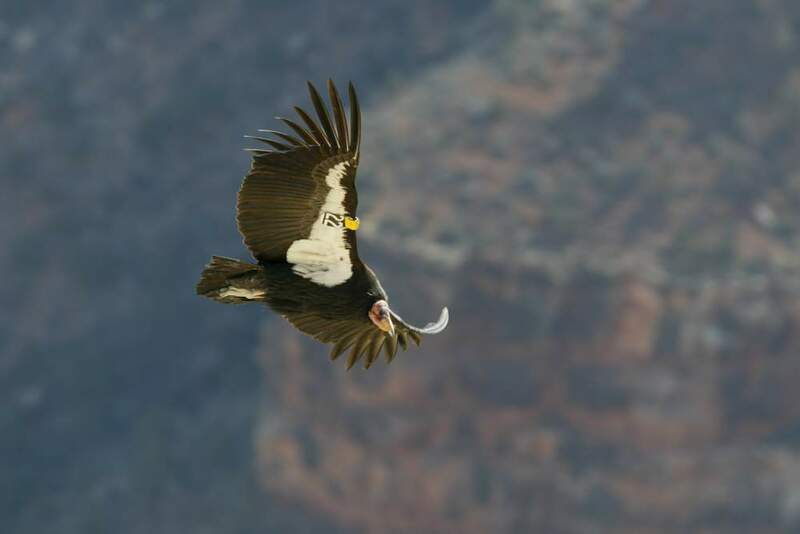 We regularly share information about non-lead ammunition options with hunters and others who dispatch animals in the California Condor's range in Arizona and Southern Utah. 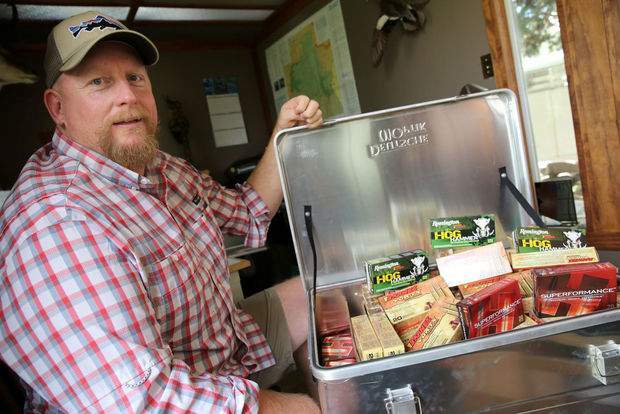 In addition, we provide incentives for hunters who volunteer to switch to non-lead ammunition or are willing to bag up and carry animal remains out after a successful hunt. The hunting community shares a strong tradition of caring for wildlife and the land. Most hunters are happy to participate in any program that promotes their heritage. 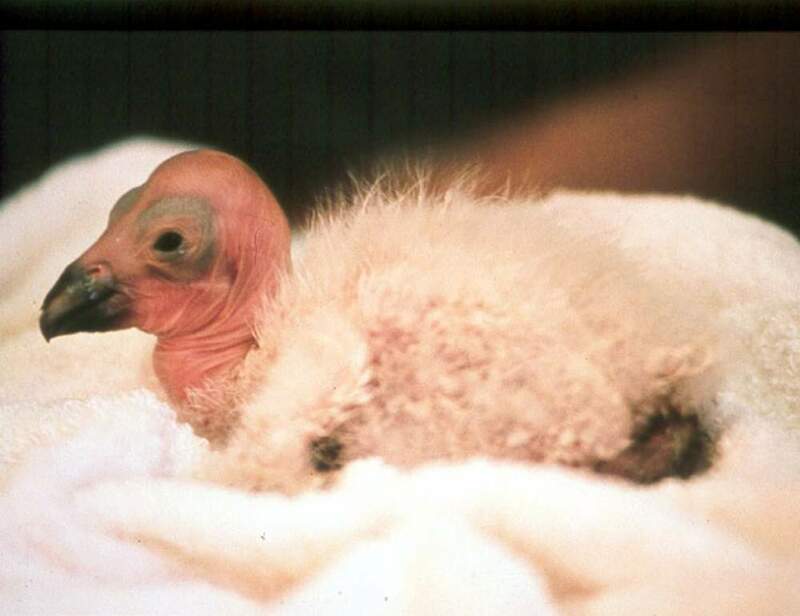 Since 1996, The Peregrine Fund has been breeding and raising California Condors in captivity for release to the wild. More than 30% of condors in the captive breeding program are cared for by The Peregrine Fund at our headquarters in Boise, Idaho. The Peregrine Fund has a captive flock of more than 50 condors at its breeding facility at our headquarters in Idaho. There are 18 breeding pairs, which produce about 20 eggs, plus two display birds and a mentor adult bird for juveniles. 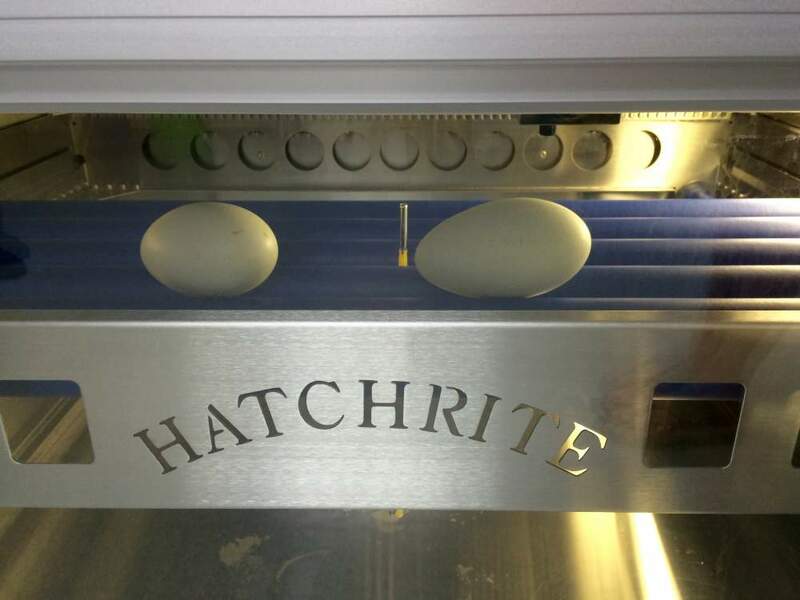 Most eggs hatch in Idaho; others are transferred to other breeding facilities to be placed in wild nests and enhance genetic diversity. All chicks hatched at our facility are parent-reared or foster-parent reared. 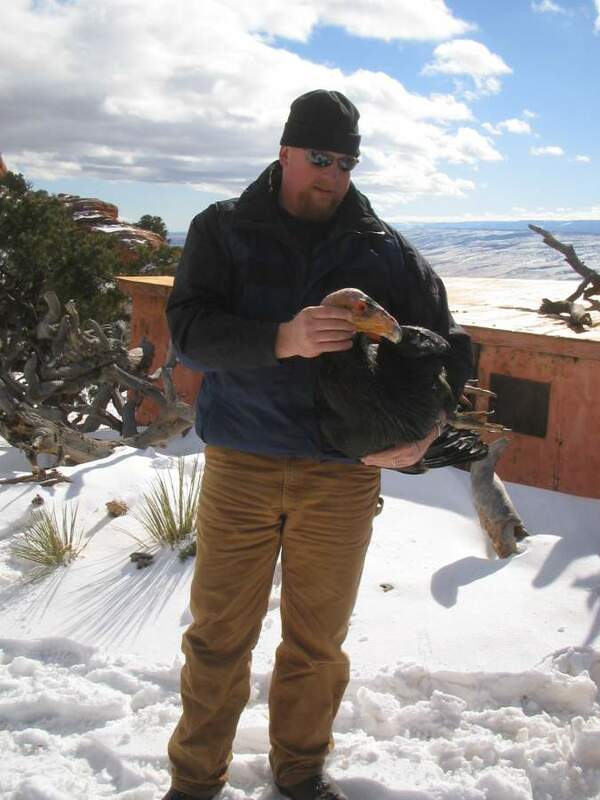 Each year, about a dozen juvenile condors are transferred to the Vermilion Cliffs Release Site in Arizona and other release sites in California. Prior to release, juvenile condors are housed communally in a huge flight pen where they are monitored for appropriate social behavior and evaluated for fitness prior to release. 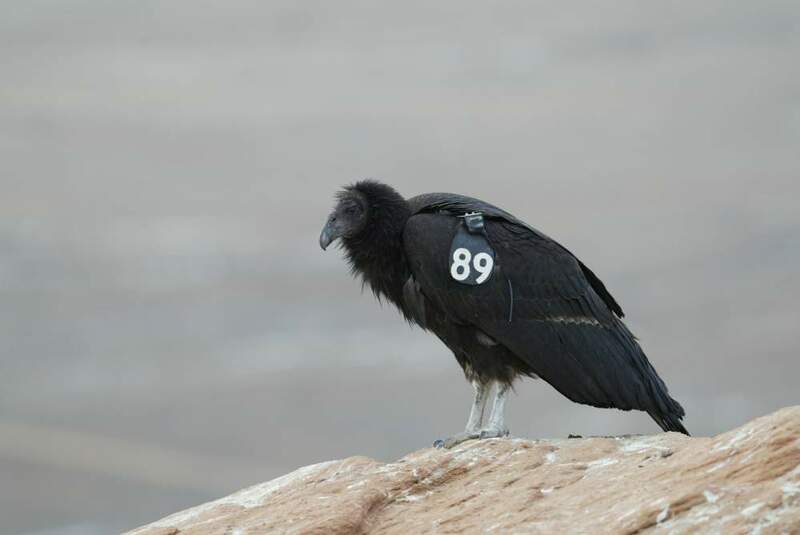 Before release, each condor is fitted with patagial (wing-mounted) number tags and radio or satellite telemetry which our field biologists will use to track the birds in the wild. Tracking enables us to help the young condors survive their first few weeks of freedom and measure their survival rate as well as precisely determine causes of death if they don't survive. Each year since 2000, The Peregrine Fund has trapped almost every condor in the Arizona flock and tested each one for lead exposure. 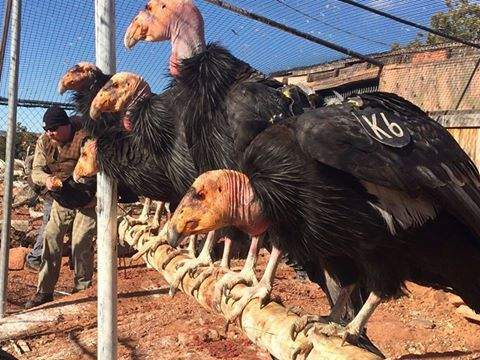 If they have ingested fragments of lead from carcasses or gut piles from game animals harvested with lead ammunition or other animals dispatched with lead ammunition, the condors become sick and may die unless they are treated to remove the lead from their system.